To apply for an Australian Government Research Training Program Scholarship (AGRTPS) and Flinders International Postgraduate Research Scholarship (FIPRS), you will need to first submit an application for candidature to a Research higher degree followed by an application for the International RHD Scholarship group which will produce an application for both the AGRTPS and FIPRS. The scholarship application is submitted through the University’s Student Information System. You will need to have an active Flinders Authentication Name (FAN) to complete this process. If you have never studied at, or made an application to Flinders University, you can register and submit your application for candidature to a Research higher degree using the application portal. 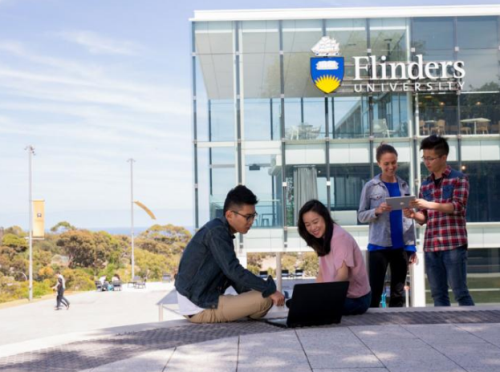 If you have studied at Flinders University within the last 12 months you can submit your application for candidature to a degree via the Student Information System. You will find the eApplication portal by selecting the My Applications tab at the top of the page. If you have studied at Flinders University but graduated more than 12 months ago you will need to reactive your FAN via the FAN reactivation page. With an active FAN you will then be able to submit your application for candidature via the Student Information System as advised above. All the information Australian Government Research Training Program (AGRTP) International Scholarships at University of Flinders has been delivered nicely; interested and talented students who are eager to pursue their Free Tuition/Scholarships/Study in Australia can apply now. Labels: Australia Scholarships, Master's Scholarship, PHD Scholarships, Scholarship.